Although the Swedish car company Saab currently no longer makes new cars, it may of course be necessary to replace the rear window of your Saab. Damage can be caused, for example, by vandalism, an accident or a collision. Normally it would be possible to replace the rear window at a Saab brand dealer, but since the company is no longer active it can be difficult to find. The price for a new rear window at a garage is also considerably higher than necessary. Fortunately, the costs can be kept down in an easy way. 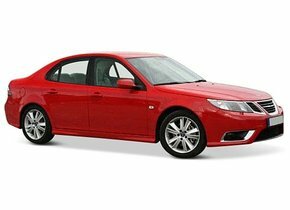 We'll tell you more about Saab here, about when the rear window replacement of a Saab is needed and how this can be done. In many European countries during the Second World War, the car industry was forced to shut down or keep to a minimum. This was because the manpower, raw materials and components were needed for other, often military, purposes. Of course, this was especially noticeable in Germany for car companies such as Opel and Mercedes. In Sweden, which remained neutral, SAAB was founded just before the Second World War. This stands for Svenska Aeroplan AB. As the name suggests, Saab made aeronautical products and aircraft that could be used in the upcoming war. went into production in 1949 and immediately became a reasonable success in its own country. appeared successively. 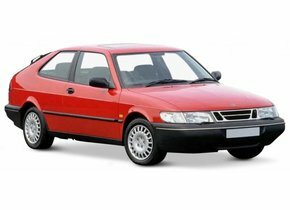 The latter model was Saab's first car to achieve really good sales figures outside its own Sweden. In total, after the introduction of the Saab 96 in 1960, more than 550,000 copies of this car were sold. What was special was that the Saab 96 was one of the first cars to have seatbelts. Also other car parts and functionalities used in this Saab turned out to be visionary and were later widely used by other automakers. 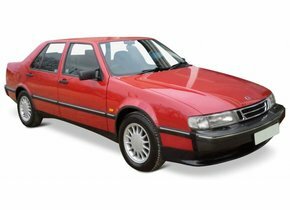 and later the Saab 9000, which did not become a gigantic commercial success, but did increase Saab's brand awareness. The perhaps most famous model of Saab, the Saab 900, was launched in 1978. With more than a million copies sold, this has proved to be the most popular model in the history of the Swedish brand. in 2011. This was not a success either. Nowadays the brand name is in the hands of National Electric Vehicle Sweden, which will not make any new Saab cars for the time being. In 2014 the last Saab rolled out of the factory and as it seems now there are no new cars coming. When should you replace the rear window of your Saab? Rear window replacement of your Saab is unfortunately unavoidable when you have damage to this car window. This is because in contrast to windscreens, there can be no asterisk or crack in rear windows that could possibly be repaired. The rear windows are made of a different type of glass. The front windows are made of laminated glass, but the rear and side windows are made of tempered glass. Tempered glass is heated quickly and then cooled down quickly. It is under great tension because of this production method and is very strong. However, when there is a hard impact on these car windows, they will break down in thousands of pieces. It was decided to use this type of glass in cars, because the small pieces of glass are much safer than large shards. Therefore, choose to replace your Saab rear window immediately if it breaks down. By doing this as quickly as possible, you can avoid further negative consequences and also safely take your car on the road again. How can the cost of rear window replacement of a Saab be so low? 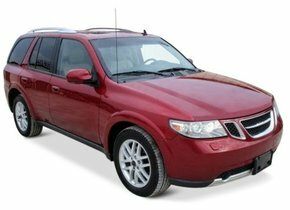 In garages the price for a rear window replacement of your Saab is considerably higher than through us. This has a simple explanation. The cost of replacing a car window at a Saab service point is based on the fact that they are initially the only ones allowed to sell automotive glass with a brand logo. As a result, they have a monopoly position and do not have to align their prices on those of competitors. For you as a car owner, this will of course result in higher prices. By opting for after market automotive glass you are a lot cheaper out. Replacing your Saab rear window with these car windows can be simple and ensures that you get exactly the same high quality at a lower price. The only difference is that there is no brand logo on after market car windows. Despite this difference, you can safely replace your Saab rear window with after market ones. This automotive glass often comes from the same factory and, moreover, all the necessary certification and quality marks ensure that you can be sure that the products are safe and reliable. In the absence of a brand logo, non-brand dealers are also allowed to sell the car windows and the price is a lot better for you due to the competition between them. What is special is that it is also possible here to order the after market car windows and then place them yourself. There are not many other companies where this is possible. When you want to replace your Saab rear window, you can easily order the right car window and any associated rubbers or frames. We make sure that your order arrives quickly. If you don't have the knowledge to do the rear window replacement of the Saab yourself, our FOCWA certified partners will be happy to do this for you. They will even replace the car window on location. Also in this way the costs for replacing a rear window of a Saab are a lot lower than in a garage and the car window is cheaply replaced quickly happened. Choose the best way to get back on the road safely with your car at a low price.